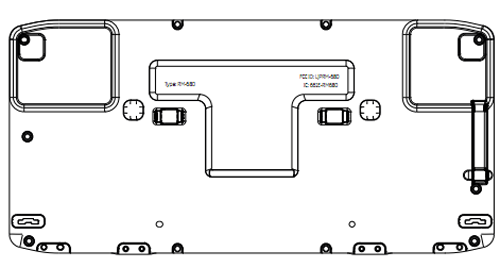 This might come as a little bit of a surprise as Nokia’s Meego-powered N9 handset passed the FCC today as model number RM-680. The FCC approved the N9 with a plethora of GSM and WCDMA bands including those to work on both AT&T and T-Mobile. Before anyone gets ahead of themselves, there is almost zero chance this device is a precursor to an AT&T/T-Mobile deal, Nokia just loves quadband and pentaband device support. The N9 includes a 4″ 800 x 480 OLED display, 1 GHz Snapdragon processor, 512MB RAM, 64GB of internal memory, 720p video capture and a sliding physical QWERTY keyboard. While there might be 5 or 6 of you out there interested in the concept of a Meego powered device, Nokia’s interests are certainly Windows Phone 7 focused so advance at your own risk. Because its Meego + Nokia + Intel, you should care! Also, the world will be a better place with Meego, you know cos the robots cant multitask! Isn’t the nokia/intel/meego deal is off ? I thought that their ceo gave some sort of big speech saying that they are on a burning platform ( symbian/meego) and that they needed to change directions (to windows). MeeGo and Intel still happening, Nokia commited to providing one handset, plus Nokia will probably keep Qt SDK support for developers. It will be interesting how it’s recieved, but seriously, last time they did something like this, it was Maemo and the N900, and even with minimal support from nokia, on many things it gets more right than their Symbian devices almost 2 years later. I think this will be a better device than their first itearations of Windows Phones, so may the last iteration of Symbian if the rumours of dual core devices with Symbian Bella/Pr3.0 are to be believed. Nokia’s Meego/Intel deal is not off. The CEO referred the symbian platform as burning, not Meego. Meego, he said will be a future disruption. Although, I would even argue that the symbian platform is not burning. Its doing much better than Windows which has only 0.8% marketshare which is a drop of more than 50% from last year. Symbian has around 30% share which is declining because of the poor support from Nokia. Nokia in the last few years has made very less and very late effort to improve Symbian which is why it is dying. Had this been done a few years back, today Symbians story would have been different. Don’t you mean Symbian?.. or am I wrong? No kidding. Wilma should be all over this! be back up by May 31st with some features hopefully back up by the end of this week. @423ab555eb22e7187a30170dccd9811f:disqus Its really nice to see someone (you) so excited about any phone. Glad you are happy. Hope you get and enjoy this puppy. @d6ceb6e03e9ab496152fc8d589e27d8d:disqus Thanks!!! I will enjoy this device whenever it releases. The only thing I wish it had was a 4.3 inch screen but I can deal with 4 inch. I want to Board the Meego Shuttle and Take Flight!!! You all will definitely know when I get my first Meego Device. Lol that’s the first name that popped in my head when I saw this article. @Godson1227_Barry:disqus Lol!!! Hey, what can I say? I likes the Meegoz. I’M SOOO EXCIIITEDDD!!! And I just can’t HIDE IT!!! Did you see the commercial T-Mobile is pumping out for it? It’s actually pretty decent! Wish more TMO commercials were like this. @timmonss:disqus Wow that was pretty cool. Thanks for the link. Also, notice how fast David posted Articles to get this one off the front page? LOL!!! I wish they did marketing for their other handsets like this one! I did notice that about the articles, just had an explosion of articles! This device actually doesn’t sound that bad, I’m all for something new and different that’s why I bought a G1 so I hope this is just the beginning of something bigger and better. @Godson1227_Barry:disqus From what I’m hearing, this device won’t be Full Meego from the jump. It’d be Meego Harmattan which is from what I understand like an introductory to Meego then it will get updated to Full Meego. I don’t know how true that is but thats what I’ve been hearing. Also, thats one reason I’m nuts over Meego. It’s something new and different and it looks very promising. Watch some of the Youtube videos on Meego, I believe you’d be pretty impressed with it especially for it being a new OS. Anywho, there are loads more in detailed videos on Meego. These will just tickle your fancy and get you interested in Meego. @PimpStrong:disqus Ok Ok Ok Ok, I’m here!!! Let me start off just by saying, OOOOOOMMMMMMMMMMMGGGGGGGGGGGG!!!!!!!!!!!!!!! YEEEESSSSSSSS!!!!!!!!!!! WOOOOOHHHOOOOOOOOOOO!!!!!!!!!!!!!!!!!!!!! Ok, now that I’ve gotten that out, I will WOOOOOOOOHHHOOOOOO!!!!!!!!!!!! I thought it was all out but I gueess not. CAANNNNTTTTTT FREEEAAAKKKIIIINNNNNGGGGG WAAAAAIIIITTTTT!!!! I knew it was going to have nice specs but OMG!!! 64GB (Which is possible also on the Nokia N97 with an Expandable 32GB SD Card). Ok, Ok, Maintain Composure. The only question I have is that I thought it would be called the N950 but whatever, I’m buying this thing!!!! I will definitely check out the conference coming up just to see what I’m missing but it’s still SGS2 FTW for me baby! 64gb of internal memory? Damn that’s nice. functioning phone. Samsung upgraded galaxy sII specs at last minute to compete. You forget windows XP can run fine with only 512mb of RAM, and LINUX can run smoothly with even less. For MEEGO this will be more than enough RAM. specs arent everything. real world performance is more important. nokia is known to do more with less. Can anyone confirm if this has Hardware UMA support for wifi calling like the Nokia E73? Keep in mind that there are more people using Nokia Operating Systems on this planet than iOS+Android+Windows Mobile combined. They may have a deal with Microsoft for Windows Mobile, but I don’t think they are going to end products that are that popular. He might be right on active use right now to be honest. Nokia have had a grip on the mobile industry world wide for so long that this wouldn’t suprise me at all. For sales, he’s off, but not that much. Nokia produces more handsets than anyone else but there are now more android smartphones being sold than nokia’s, and they don’t have quite the hold on the feature-phone market that they used to. A year ago, his staement would have been true for units sold as well though. Just thought i would say that while this will most likely be Nokia’s only MeeGo device, The N900 Maemo device was excellent, and Nokia really hit the nail on the head with a lot of things there (many of which they haven’t yet got right on Symbian) and MeeGo will get support from Intel, and other manufacturers so there may be more of a support chain here. Nokia may release an update or two but probably after 6 months most, if not all updates the device will receive will be out. Yes, proceed with caution, and it may not be as consumer friendly as Windows Phone will be/is, but I am certain it will be able to a heck of a lot more out of the box with no-one locking features down so you can’t. I am super excited about this! As an avid N900 user, I can tell you that Nokia designed Maemo as a handheld computer, not as a phone. From my understanding this should be a Meego/Maemo hybrid, which will be just fine for me. I just hope the device comes out soon. i was going to pick up the Sensation 4G, but might wait for this. The problem is that I have ha my N900 overclocked to 1150 Mhz for so long, it’s starting to go a bit crazy on me. I hope it lasts long enough to pick up the N9/N950 or whatever they decide to call it. It’s supposed to be running Nokia’s Meego, which is based on Harmatten (Maemo 6). It’s not true Meego, but will be able to get Meego updates. Hopefully it’ll get updated to full Meego to prevent confusion. damn wish it was running android. I use Maemo 5 on my N900, and Android on my Galaxy Tab. My mom had the Cliq, and just upgraded to the G2. My brother used to have the G1, so I’m pretty familiar with Android, and I personally prefer Maemo. It can do much more without the need for seperate apps to do everything. I am very excited to see how Meego compares. I agree it the best all around phone.Nokia not bring this phone to the USA is a big epic failure.I was going to get android and patiently whether they come out with n9 they should just put out date if it coming here or not.